We are proud to offer a complete range of rehabilitative services and custom designed therapy programs to meet your pet’s needs. 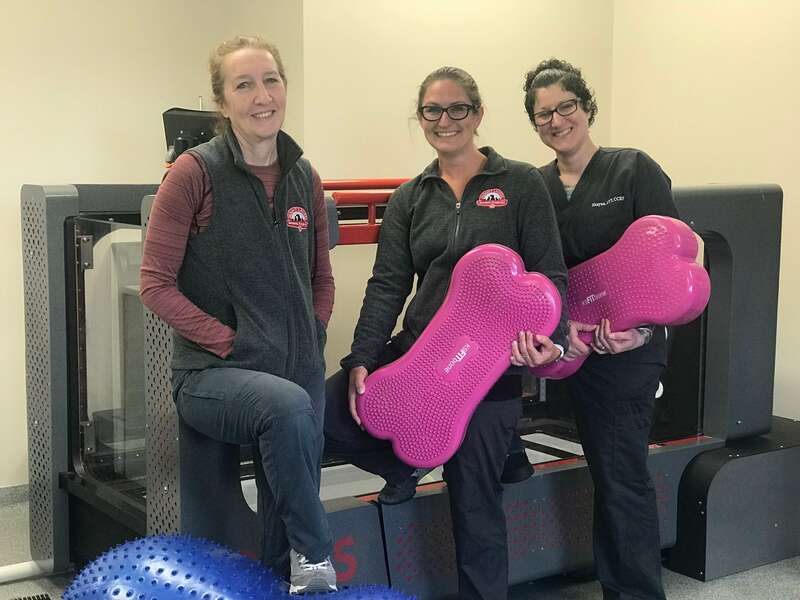 We use a combination of state-of-the-art rehabilitation technologies, manual therapy and exercise to provide your pet with the most comprehensive care available. 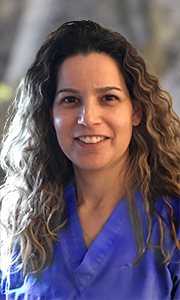 Our use of multiple modalities ensures better treatment outcomes, and provides for greater flexibility when customizing a program to a patient's unique medical condition. At Mount Laurel Animal Hospital, we are focused on the pivotal role fitness plays in your pet's overall quality of life. Our goal is to alleviate pain, improve range of motion, aid with healing, and regain strength and agility. 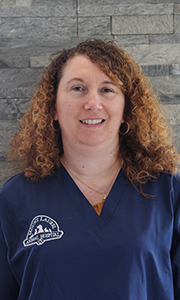 In your first appointment, we begin with a thorough evaluation of your pet to address your concerns, assess their problem areas and formulate a treatment plan. After obtaining a complete medical history, we perform a full orthopedic and neurologic examination of your pet. We evaluate movement and function with a gait analysis and lameness assessment, as well as by testing range of motion in all the limbs. We fully palpate your pet, looking for any heat, swelling, inflammation, trigger points or other abnormalities. An overview of the whole animal, beyond just the perceived physical complaint, is essential to build a successful strategy for care. After the exam, we explain our findings with you, discuss a recommended treatment plan, and answer any questions you may have. We also provide you with a home exercise program for your dog designed to complement your office visits. When you leave our office following your first consultation, it's important to us that you to have a better understanding of your dog's physical condition and confidence in their course of treatment. Throughout your dog's treatment over subsequent visits, we carefully monitor progress and adjust care as necessary to achieve the best results. Our temperature-controlled underwater treadmill allows a patient to experience active muscle contractions with minimal impact on joints and bones. A patient who has difficulty bearing weight can stand and exercise in the buoyancy of water. There is also an increase in circulation to muscles, improved joint motion and decreased joint pain. The underwater treadmill is ideal for post-operative patients, obese pets or athletes in training. Electrical stimulation causes involuntary muscle contraction by applying a controlled current to motor nerves. The benefits of e-stim include improved muscle tone, increased range of motion, pain control, edema reduction and accelerated wound healing. Low-level lasers - also known as "cold lasers" - can be used to decrease inflammation and increase endorphin release, which, in turn, helps alleviate pain. They also aid with tissue repair, wound healing and increasing vascularization. Low-level lasers are non-invasive, painless, and completely safe when used by qualified individuals. Since they don't increase skin temperature, they present absolutely no risk of burning to your pet. The application of cold or heat can help control inflammation, edema, swelling, and pain. This safe, non-painful, non-pharmaceutical technology uses micro-current electricity to create a targeted healing electromagnetic field which penetrates both soft tissue and bone. This device can also be sent home with patients for daily treatment. If applicable, we can recommend and custom fit braces to help your pet be supported and move better. We use a variety of exercises and equipment to treat problem areas from multiple angles. We will develop specialized exercise programs to help a patient improve balance, increase strength and overall conditioning, bear weight on an injured or weakened limb, correct physical imbalances, lengthen stride or increase active range of motion. We will also send you home with custom exercises for you to help your pet’s progress and speed recovery at home. The focused soft tissue manipulation of massage can yield a wide range of benefits, relieving areas of stiffness and immobility, reducing pain, improving blood and lymph circulation, stimulating the immune system, restoring muscle tone, and decreasing stress. While it's gentle and non-invasive, massage has a profound effect on the body because it directly impacts many different systems including musculoskeletal, circulatory, lymphatic, and nervous - simultaneously. Massage also carries a significant positive psychological effect for most pets which makes it particularly advantageous when a physical issue has been exacerbated by stress or anxiety. The goal of stretching is to improve or restore normal muscle length by extending a muscle or muscle group to their fullest extent. By taking the muscle beyond its normal range of motion in a controlled manner, stretching can increase function that has been impaired due to injury, surgery, inactivity or other conditions. Passive range of motion focuses on returning flexibility and mobility of the joint by taking the patient through their available range of movement. These round, inflatable balls provide support while encouraging the patient to place weight on an area that requires conditioning. Assisted exercises on a balance board helps a patient improve balance, build strength and sharpen proprioception, which the body's internal awareness of where how its limbs are oriented in space. Cavaletti rails are horizontal poles raised off the ground which the dog must step over to negotiate. By the adjusting the rails, we can adjust a dog's stride to help zero in on specific issues. Using a patient’s own blood, platelets are concentrated from the blood and can then be injected back into sites of injury including joints, tendons and ligaments. Growth factors within platelets help to stimulate healing and alleviate pain. This procedure requires sedation and sometimes ultrasound guidance for the injection. Veterinarians will only recommend this after a thorough discussion with the pet owner. Acupuncture is the use of very thin, sharp needles to stimulate specific locations on a pet’s body. The locations are determined by a trained veterinarian based on a review of the medical condition and an examination. Acupuncture helps the body heal by stimulating nerves, increasing circulation to the treated areas, decreasing muscular spasm and releasing the body’s natural medications (endorphins and cortisol). Functional MRI (fMRI) studies have indicated that treatment of points to relieve pain result in activation of regions of the brain stem associated with pain. The National Institutes of Health (NIH) has released a consensus statement which indicates the presence of compelling evidence that acupuncture is useful in treating osteoarthritis and musculoskeletal pain.